Used primarily for light diffusers in fluorescent light fittings, Prismatic Extruded Acrylic Sheet has a textured finish on the one side and is smooth on the reverse. Transparent, with a patterned effect extruded into the surface of the material. 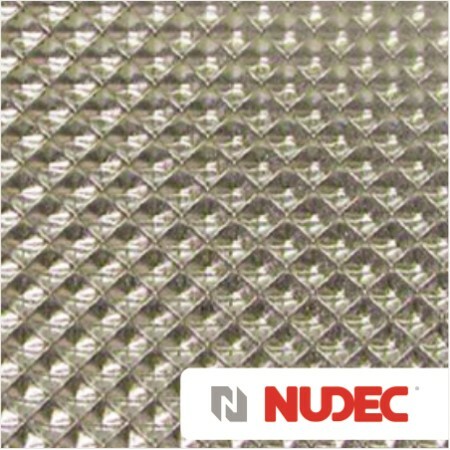 Can be line bent, but excessive forming is not recommended because of the patterned surface.